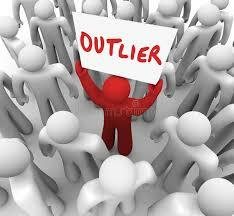 How do you feel as an Outlier? Outliers can be ‘highly intelligent misfits’ with unique perspectives, strong opinions and deep caring for others. They can add significant value as innovators if they find strong emotional support and encouragement to be as unique as possible.Here is the risk: If they never experience their own unique value and cannot find people who believe in them, they might turn easily into outsiders, close down emotionally and withdraw from friends and family members who actually care about them. Harry* recognized number patterns at age 5. He was a straight A student up to his Senior High School year, but almost over night he lost interest in school, became severely depressed and did not want to leave the house. When we evaluated his Genius Intelligences as part of his Genius Profile it showed “Logical-Mathematical” towering above all the other qualities of intelligence. With specific tutoring and strong emotional support Harry* could turn his mental challenge around and became a highly successful software engineer. What is YOUR unique brilliance? How strongly do you apply it every day? This entry was posted in Giftedness, Physical Intelligence on April 24, 2018 by Otto Siegel.